For as long as the human race has existed, people have continuously worked towards improving the quality of life, both for themselves and for future generations. From life in the wilderness, to life in villages and cities—people have advanced. We help each other to live better. In the desire to help more people, the industrial revolution brought a whole new approach to the production of goods. More people than ever were empowered to improve their quality of life. Now, as time goes by, technology continues to assist humankind in reaching ever new heights. Although our rapid advancements in technology were nothing short of amazing, they came with a cost. Intensified human activity has placed nature, and the environment at risk. For hundreds of years we have used the resources that surround us, while not fully understanding the extent of the damage we have been causing to the planet. Now, to ensure that future generations can enjoy the wealth and beauty of our planet without compromising quality of life, we need to find a far better way to support the environment and sustain human existence! But where… and what is it? Just BioFiber has the answer for the built environment—by rethinking how we build and allowing natural biological functions to convert and store greenhouse gases in natural plant materials and then using those plant materials in our permanent building structures. This application of natural biological fiber has the potential to remove and sequester vast amounts of carbon dioxide from the atmosphere. Also, the increased insulation and thermal capacity qualities of our sustainable building materials further reduce the energy required to heat and cool these buildings. Just BioFiber Structural Solutions Corporation is a Canadian company, registered in Alberta, which has developed a unique, renewable, and sustainable building construction system that not only offers cost savings from energy efficiency for building owners and operators, but also addresses climate change by absorbing the greenhouse gas—carbon dioxide. The Just BioFiber building block system consists of natural fiber construction blocks that are designed to be strong and safe, with excellent thermal qualities that also offer ease of construction and finishing. The system utilizes the industrial hemp plant as the base material for its building blocks. Hemp is a sustainable, renewable, carbon dioxide absorbing, temperature and drought resistant crop that provides a new opportunity for farm income diversification. Did you know that before the blocks are even produced, the reduction of carbon dioxide in the environment already begins? A one hectare of hemp crop will consume over 10 tonnes of carbon dioxide annually while the plants grow, 4 times more than a hectare of mature trees in a forest. The preferred hemp and lime formulation make the Just BioFiber building material organic and bio-recyclable. The structural, modular blocks are designed to be simple and very builder friendly—as easy as building with Lego. In addition, the production process of the blocks allows us to capture and reuse heat and water that otherwise would be wasted. How? The carbon dioxide and water from the combustion waste of natural gas is integrated into the fabrication process. Beyond “carbon neutral” the resultant “carbon negative” building construction materials will significantly reduce energy requirements in buildings for heating and cooling, and lower operating costs. The result is a very affordable building construction system that sequesters more greenhouse gas than is emitted in its production, all with very low embodied energy. The Just BioFiber block system has a strong vertical load bearing compression strength. 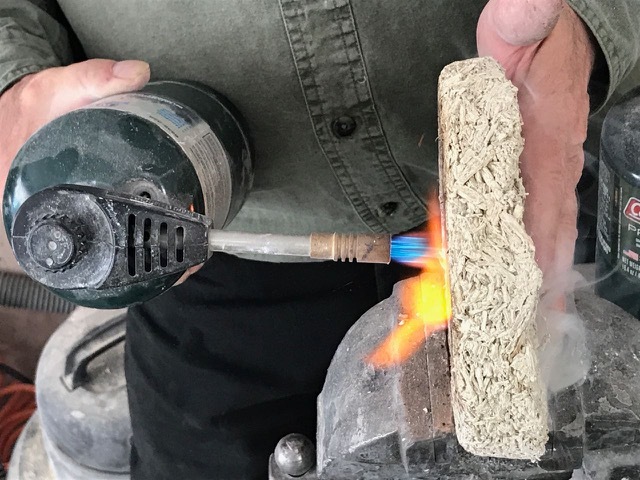 Testing has also shown that the blocks are very fire resistant and able to withstand a 940°C fire for 2 hours and maintain its structural integrity. The system also has exceptional thermal resistance, allowing it to regulate temperature and humidity while retaining heat. It has excellent acoustic properties, and is capable of capturing 130 Kg of carbon dioxide per cubic meter. The system also provides healthier indoor air quality due to its breathable, non-toxic, vapor permeable, insect and mold resistant walls. The buildings built with the Just BioFiber building system will continue to sequester carbon, increasing in strength as it does this for up to 100 years and lasting well beyond. Because of the patented design and material qualities, the Just BioFiber blocks produce safe, strong buildings that will protect you from wind, rain, snow, heat, cold, earthquakes, hurricanes, tornadoes, insects, mold and even fire. Just BioFiber blocks are not just exceptional building materials, they also promote “green building”, “green living”, and environmental justice. The market for new construction of wall systems for both residential and commercial buildings is estimated at 4.2 billion dollars in Canada, 49.5 billion dollars in the United States and 1.237 trillion dollars in China. A potential U.S. and Canadian market opportunity of only 1% would require the production of 2.3 million blocks per month with a sales value of over 500 million dollars per year. Transparency Market Research studies projected the Green Building Materials Market is to reach 243.77 billion American dollars by 2019. Our market differentiation pertaining to carbon sequestration, energy efficiency, fire resistance and acoustical properties places Just BioFiber in a unique position to capture market share quickly. 3. 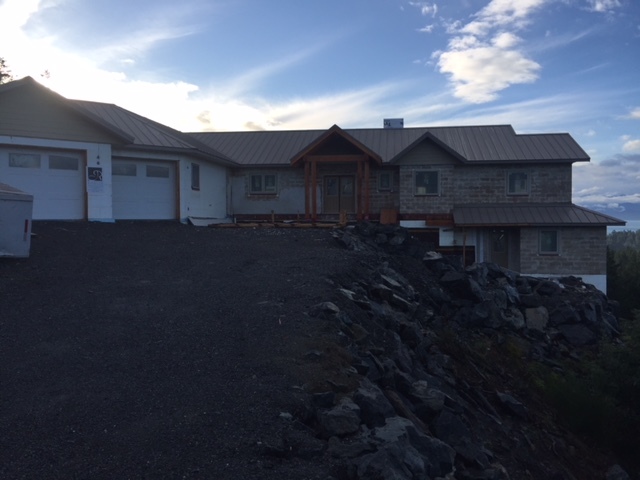 Residential exterior wall systems where cost and ease of construction are paramount in bottom-line profitability. We can meet these specific demands and improve upon energy efficiency, indoor air quality and sound attenuation, adding substantial value. Just BioFiber’s building system is ultimately the most sustainable building system on the market; it absorbs carbon dioxide, provides healthier and more economical living and working environments and yields excellent opportunities for investment. The Just BioFiber building system is the first viable sustainable building product and a worthy investment in environmental justice.